Provides expanded information which includes sections on historic background, current principles, and anticipated future changes, and consideration of the latest knowledge of human and veterinary medicine in the field of zoonoses. A chapter summary and selected bibliography for each of the first six chapters. 1. Introduction to the Zoonoses; Section II : Principles; 2. Principles of Zoonoses Recognition; 3. Role of the Laboratory in Zoonoses Recognition; 4. Principles of Zoonoses Control and Prevention; Section III : The Future; 5. Recognition and Development of "New" Zoonoses; 6. 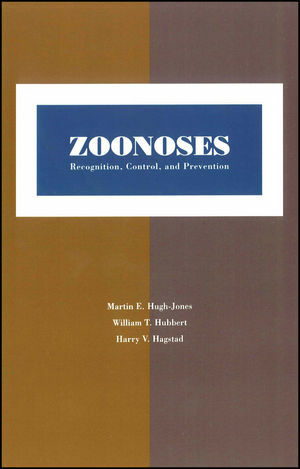 Advances in the Control and Prevention of Zoonoses; Section IV : Synopses; 7. Parasitic Zoonoses; 8. Fungal, Bacterial, Spirochaetal, and Rickettsial Zoonoses; 9. Viral Zoonoses; Index.